Discount available! Recommend Sestos - Digital Temperature controller to your friends and get your Discount. Dual PID Digital Display Temperature Controller and ON/OFF control mode, wide control range for K probes (from -50°C to +1300°C), power voltage AC/DC 12-24 V. Sensor input (K, S, Wre, T, E, J, B, N, CU50, PT100), output for 12 Vdc solid state relay, accuracy 0,1°C (about 0,2% FS), autocalibration technology. Dimensions (mm): 88,70x48,15x48,15. The controller not includes the temperature probe. 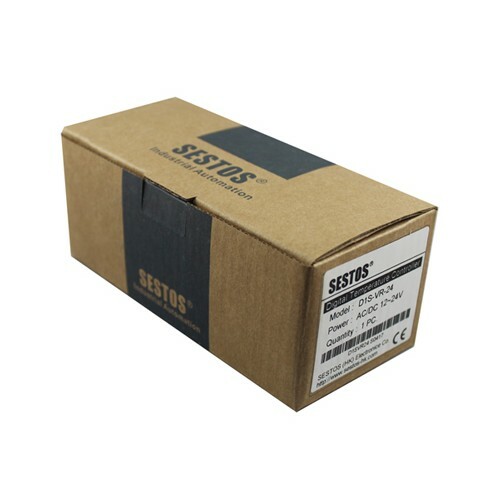 Used in the project Fila extruder. 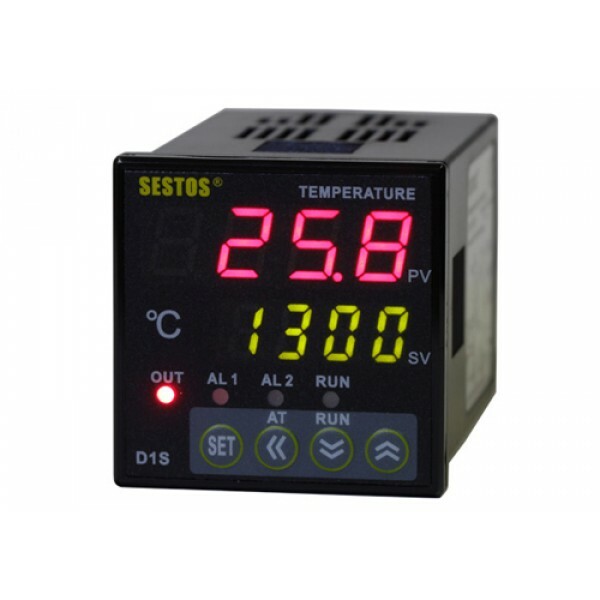 Regolatore di temperatura a doppio display digitale PID e modalità di controllo ON / OFF, ampio intervallo di controllo per sonde K (da -50 ° C a + 1300 ° C), tensione di alimentazione CA / CC 12-24 V. Ingresso sensore (K, S, Wre , T, E, J, B, N, CU50, PT100), uscita per relè a stato solido 12 Vcc, precisione 0,1 ° C (circa 0,2% FS), tecnologia di autocalibrazione. Dimensioni (mm): 88,70x48,15x48,15. Il controller non include la sonda di temperatura. Utilizzato nel progetto estrusore Fila. 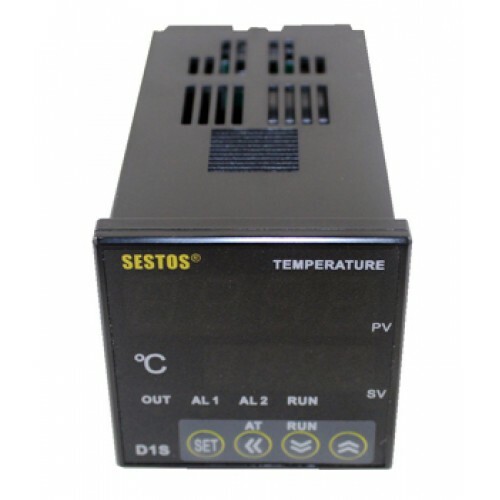 Card compact that allows to adjust the speed of a DC motor, with power between 10 V and ..
Gearmotor with rated voltage 12 Vdc and reduction ratio 527:1, direction of rotation dep.. Relays printed, single-in-line houses circuit solid state, optically isolated, LED indic..
Switch with light red neon. 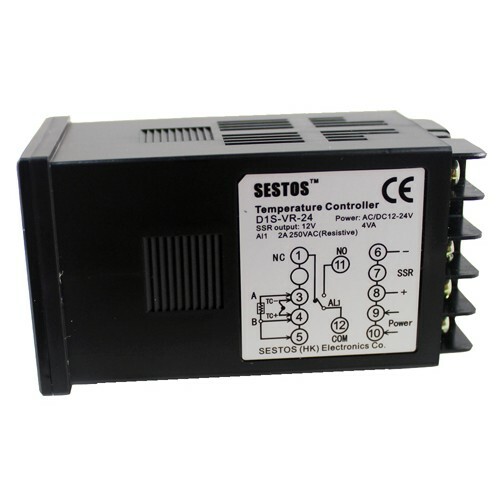 Technical specifications: Type: On / Off DPST (double switch), contact r..